Shallow Obsessions About Fashion: Footballer Transfers Equated to Handbag Shopping...Too Funny! Footballer Transfers Equated to Handbag Shopping...Too Funny! Torres promoting his book "El Nino- My Story"
My favorite oggling site since the World Cup 2010 has put a hilarious post about the trades that went on in the football world. Kickette has compared the transfers of my hubby's doppelganger (so I fantasize), Fernando Torres, and other players to the likes of purse shopping. "This is the one that you’re prepared to ignore increasingly frantic phone calls from your credit card company for. It looks good, it feels smooth and glossy beneath your hungry finger tips and you know you can’t live without it, even if you have to move out of your condo and into a cardboard box." Love it! Since the clutch costs $3-4,000 that sums it up just right! 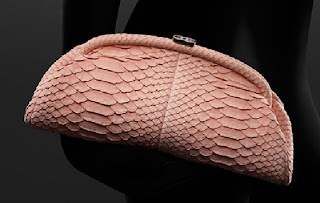 As for the other players, they were considered impulse buys like an Alexander McQueen Clutch and another one a hum-ha-er that you buy only for the sake of buying something. Check out kickette.com to read the rest.